Executive Post Graduate Diploma programmes for corporates, as per the requirements of the corporate houses. The student’s council organizes a number of events, management competitions as well as cultural and sports activities like Arcturus, Coffee with SIBM, Encore, Imperio, National Alumni Meet, The Transcend, The Blueprint, Entrepreneurship Summit, Sports Conclave and many more. SIBM, Pune ensures that its alumni community stays well connected with the college. Several events are organized wherein the alumni interact with the students and share their corporate experiences. The companies that come to the campus offers diverse profiles across verticals and functional domains including Investment Banking, Project Finance, Equity Research, Corporate Treasury, Business Advisory and Strategy, Compensation & Benefits, Industrial Relations, Organization & Talent, Sales, Marketing, SCM Consulting, Logistics, Operational Research and Technology Advisory. The students of SIBM Pune continue to prove their mettle thereby strengthening the brand of the college in the corporate world. 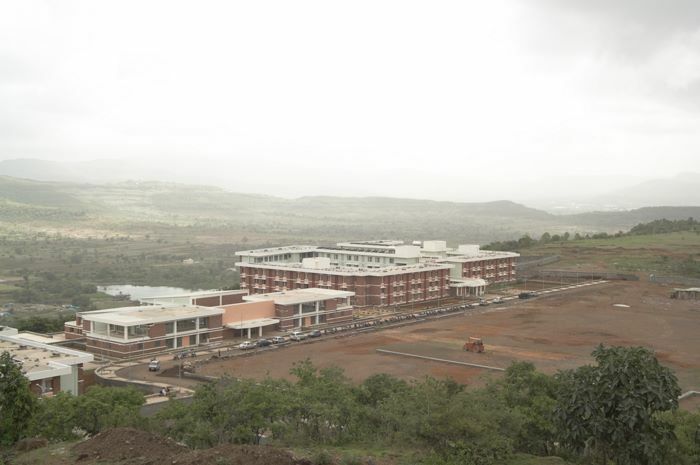 SIBM Pune, with its picturesque campus, state of art infrastructure and meritorious students continues to be one of the leaders in management education. 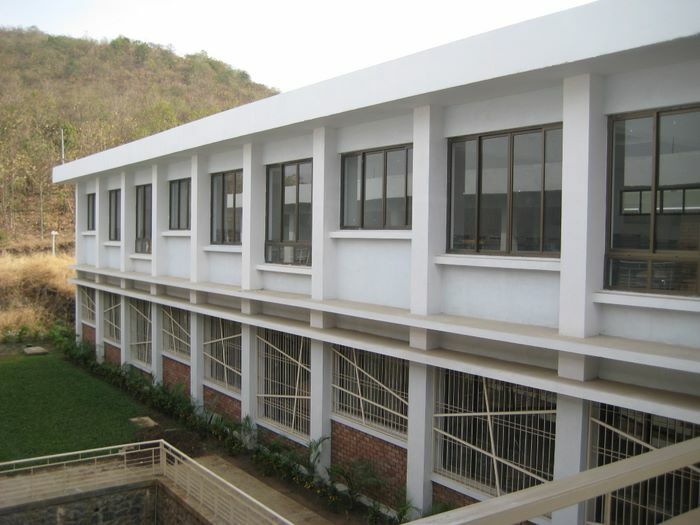 SIBM Pune boasts of state-of-the-art infrastructure for its students. All these facilities go a long way in ensuring productive campus life and provide a perfect ambience for academic pursuits. 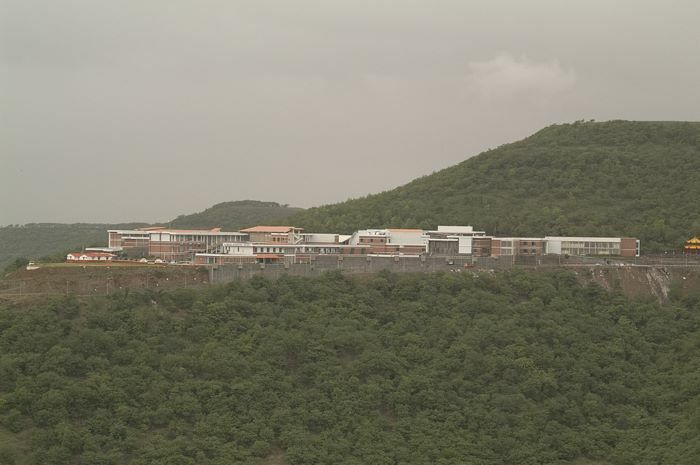 SIBM Pune’s all new residential campus at Lavale village has become the envy of educational institutions of the city. 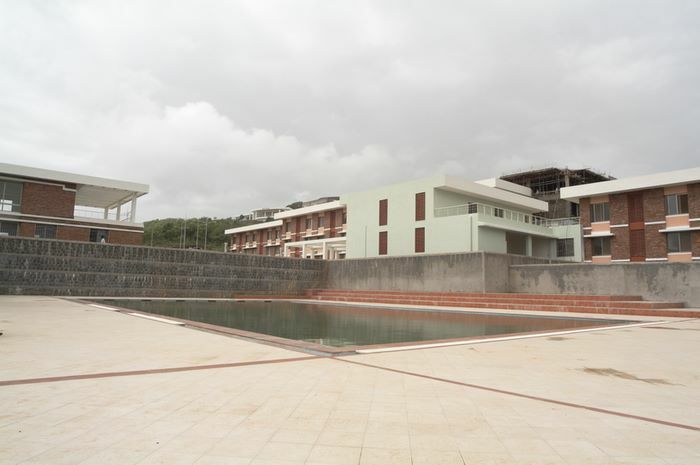 The sprawling premises houses the SIU office & various trust offices, central library, auditorium, conference hall, canteen, health care centre, area for recreational activities, shopping area, guest house, swimming pool, teaching & non teaching staff housing and menial staff housing. SIBM Pune has a splendid reference and lending library with over 18,000 books, reports, journals, periodicals, CDs and video cassettes. The Computer lab, with broadband connectivity to the Internet and Intranet, boasts of 120 Computers with exclusive lease lines. 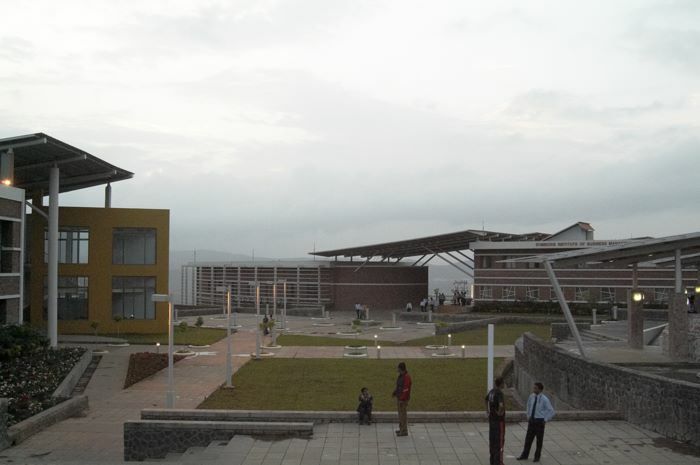 Students at SIBM Pune are privy to a unique Wi-Fi campus. 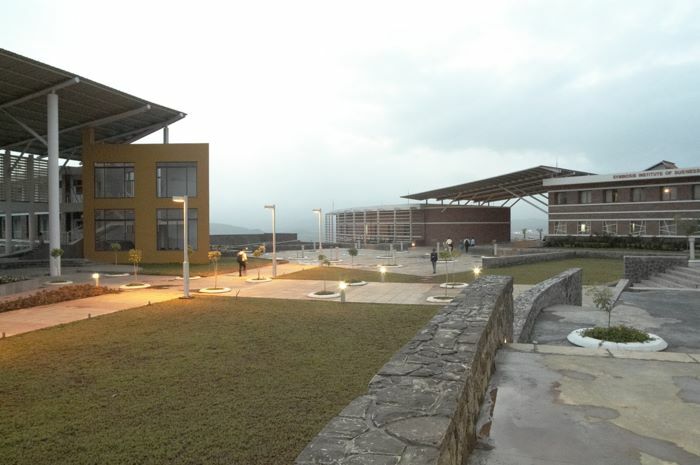 The Wi-Fi campus enables the students to get on-line anywhere on campus without the hassle of wires and plug-ins. The campus truly is the high tech face of the new-age SIBM. Incidentally, SIBM Pune was the first Management College in the country to adopt this technology, another first among many. The Information Technology Team is in charge of developing and maintaining the intranet websites. We have a host of intranet websites to assist the students in their academic endeavors. Right from an online marketing repository ADdIcT, hosting over 7000 advertisements tracking various brand promotions over the years, both national and international, to an internal knowledge repository WIRED, to InfoDrome, our contribution in helping SIBM move to a paperless work culture, these resources help our students gain that all important edge over the competition. All lecture classrooms are well ventilated and equipped with the latest audiovisual facilities. 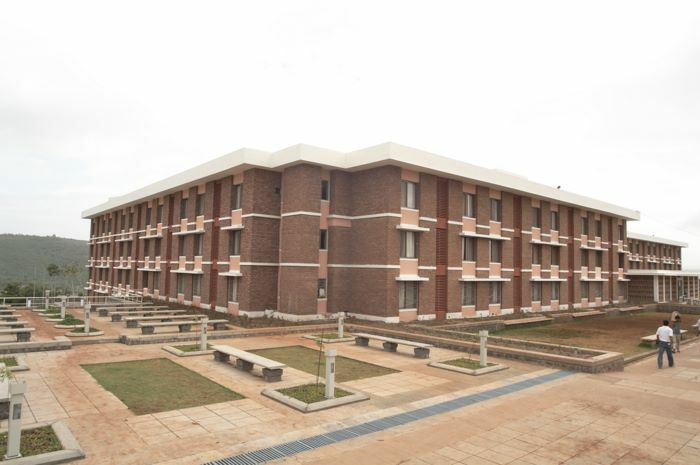 SIBM Pune assists in securing accommodation for outstation students. The facilities are available in close proximity to the campus and students are charged a nominal fee. The Foreign Students’ Cell, in turn, assists foreign students in all their accommodation requirements. 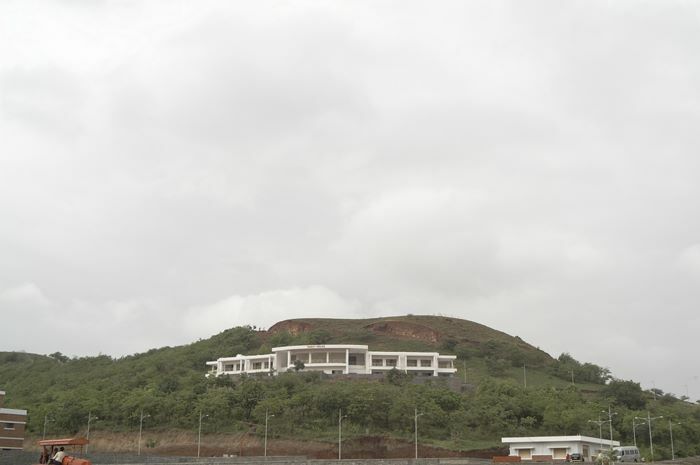 The in-house facilities include a 600-seater modern auditorium and a modern conference hall located at Vishwa Bhavan. 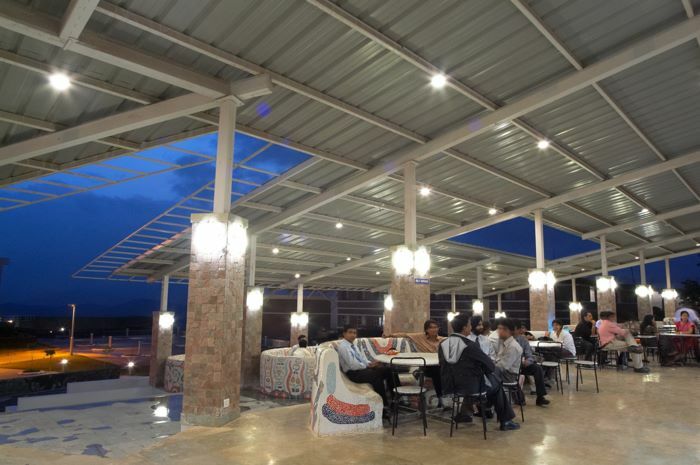 An all day cafeteria ensures refreshments for busy minds. The Symbiosis Institute of Health Sciences (SIHS) is an in-house Health Care Centre exclusive to the staff & students of the various institutes of Symbiosis. SIHS has a team of specialist doctors who conduct the annual health check up. Each student is insured under the Mediclaim & Road Traffic Accident Policy. SIHS also provides an in-house modern state-of-the-art health club & fitness centre with a view to facilitate a holistic development of mind & body. The Centre thus provides preventive, promotive as well as curative health care services with a view to ensure Positive Health in all members of the Symbiosis Family. It is not all work at SIBM Pune. A state of the art gym provides the students ample opportunity to tone up their bodies in between bouts of exercising their grey cells. The gym comes equipped with a host of training equipment as well as a fitness trainer who keeps a record of the progress made by each individual. The yoga facility that the institute offers provides a refreshing interlude for the students. A trained yoga teacher puts the students through their meditative paces. The facility has been well appreciated by the students and is reflected in the focus and concentration levels attained by them. Aerobics is another interesting way for the SIBM Pune student to unwind. A trained fitness professional helps the students with their aerobics routine. 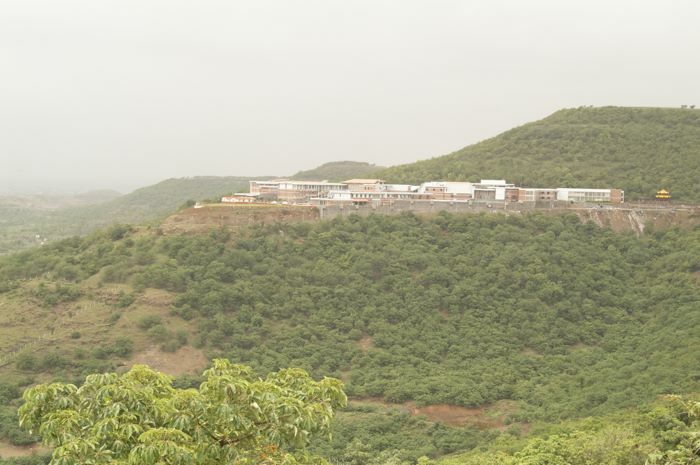 This initiative is in keeping with SIBM Pune’s credo to provide a healthy environment for the students – body and mind. Duration: Two years full time. A graduate from any statutory university with a minimum of 50% marks (45% for SC/ST) at graduation level. Student appearing for final year examinations can also apply, but their admission will be subject to obtaining a minimum of 50% marks (45% for SC/ST) at qualifying examination. Diploma holders are not eligible. Kashmiri Migrants: 2 seats – children of migrants from J&K valley. 15% seats for International students. “When all think alike, then no one is thinking,” these immortal words of Walter Lippman form the foundation of SIBM Pune’s new offering- MBA in Innovation and Intrapreneurship (I2MBA). Government of India has declared 2010-20 as ‘India’s Decade of Innovation’ and Symbiosis, always ahead of the times, has once again taken the lead to launch a unique and pioneering MBA (Innovation & Intrapreneurship), a programme to make India’s dream a reality. The addition of ‘Intrapreneurship’ is in keeping with the industry expectation of employees with an entrepreneurial mindset. Intrapreneurs are essentially internal innovators. According to The American Heritage Dictionary, intrapreneur is "A person within a large corporation who takes direct responsibility for turning an idea into a profitable finished product through assertive risk-taking and innovation". Our interactions with policy makers, thinkers and corporate leaders have led us to believe that these are days of innovation and entrepreneurship- whether outside or inside an existing organization. The road to the top for managers today is through conception of innovative business ideas leading to enhancement of the toplines and bottomlines of their organisations. It is on this backdrop that SIBM Pune has designed the I2MBA programme. This two-year Master’s Degree programme incorporates learnings derived from running two batches of a one-year Diploma in Innovation & Corporate Entrepreneurship (DICE). Students appearing for final year examinations can also apply, but their admission will be subject to obtaining a minimum of 50% marks (45% for SC/ST) at qualifying examination. Intake: The intake is limited to 40 seats. It is becoming increasingly clearer that managers who can effectively lead innovative projects will only be put in the leadership pipeline. The good news is that contrary to the traditional belief that creativity and innovation are inborn talents, it is now widely accepted that these are skills which can be learnt, practiced and perfected. It is with this belief that the programme touches all the relevant concepts in innovation and intrapreneurship but does not stop there. It goes much beyond concepts to embrace practical aspects of managing a business innovatively through functional areas like HR, marketing, finance and operations. The Course pedagogy is specifically intended to create an entrepreneurial mindset that will help students feel a strong ownership towards their organizations, thus inspiring them to go beyond the routine to explore areas of improvement in products and processes. While covering all the essentials of a conventional MBA programme, I2MBA would explore the unexplored areas like creativity, innovation, design thinking, entrepreneurship and liberal arts. The coverage would be flexible enough to incorporate latest developments in the field of innovation and from the world of corporates. Vastly different from a conventional MBA programme, I2MBA would ideally suit graduate candidates with fire in their belly to tread a different path to success; a path perhaps strewn with setbacks. It would suit candidates who are willing to think different from the crowds, believing that their thinking will change the world in some way. Candidates with a creative bent of mind coupled with strong analytical abilities would find the programme immensely useful in catapulting them to the world of innovation-focused corporate and other institutions. Those looking to start their own business/social ventures and those from family business background would also find the programme immensely valuable. The programme tends to focus more on practical aspects along with theoretical concepts. In addition to the lectures, most programs make use of real case studies/discussion intensively. The curricula tend to be a lot more practical, providing ready-to-use skills upon your return. All Post graduate Diplomas in Management in each functional areas should provides a comprehensive exploration of the issues of management in a global business environment. The programs help students to acquire knowledge and develop practical business skills, ideal in today’s competitive global marketplace. To provide the working professionals with a dual aspect of enhancing their managerial skills and while giving them an opportunity to further their education. To equip executives or prospective executives working in the field of marketing with managerial skills so as to enable them to perform their functions more effectively and efficiently. To equip executives or prospective executives working in the Accounts/Finance Departments or with Banks/Financial Institutions/NBFCs with managerial skills so as to enable them to perform their functions more effectively and efficiently. To equip executives or prospective executives working in the field of HR with managerial skills so as to enable them to perform their functions more effectively and efficiently. To equip executives or prospective executives working in the Technical Departments and Purchases/Sourcing Department with managerial skills so as to enable them to perform their functions more effectively and efficiently. To equip executives or prospective executives working in the Retail Sector with managerial skills so as to enable them to perform their functions more effectively and efficiently. To equip executives or prospective executives conceive innovative ideas and projects leading to new businesses for their employers. Effectively lead innovative projects. Establish themselves as strong candidates for leadership positions in their organization. Eligibility: Bachelor's degree with minimum of 50% marks from any statutory /recognized University. Selection Procedure: The selection of the students shall be done on the basis of Personal Interview at SIBM Pune Lavale Campus. Intake: 50 seats each Programme. Programme Duration: The duration of the Programme is one year with two semesters. Family businesses play an important role in shaping the national economy and as per a Credit Suisse study, two out of every three listed companies in India are family-controlled, making India the country with the highest presence of family businesses in Asia. The huge potential to create employment coupled with their long-term vision enables the family firms make a unique contribution to the global economy as well as to society in general. In recent times, a number of traditional family run businesses have been able to transform their organizations through the adoption of contemporary management practices. This has resulted in enabling their stupendous growth and huge profits. Many of these traditionally proprietor-driven companies have become Board-driven and have been pioneering several exemplary practices in the area of business management. Our aim at SIBM Pune is to create and nurture leaders who will forge ahead to create a vibrant future for family-owned businesses. Given that we have completed 36 years of creating business leaders for the future we would like to continue this tradition and train, add value and mentor the future leaders of India’s finest family companies. Our Post Graduate Diploma of Family Business Programme launched in 2012 is a unique approach to ensure that family business owners learn to appreciate and integrate key issues such as adherence to systems, transparency of business processes, an analysis of best management and governance practices and family continuity and leadership acceptability challenges. This will help in delivering an extra edge to those family businesses which are gearing up to become more competitive. Our programme is spread over a period of one year across two semesters. It requires the participant to visit our Institute for just 5 days five times a year for on-campus classroom sessions and the remaining time can be used in applying the concepts learnt and discussed during the on-campus sessions for their businesses. The key objective of our programme is to prepare the participant of the PGDFB programme for a leadership role in his/her family business and to be a powerful influence in the family run business. With the need for family businesses to play to their strengths in the global competitive arena, it is time now to apply a professional approach as well as equip yourself with a Post Graduate Diploma in Family Business! The 5x5 advantage is a uniquely designed approach that enables family business owners pursue the SIBM Pune business management certification (PGDFB) while continuing to focus on their business. 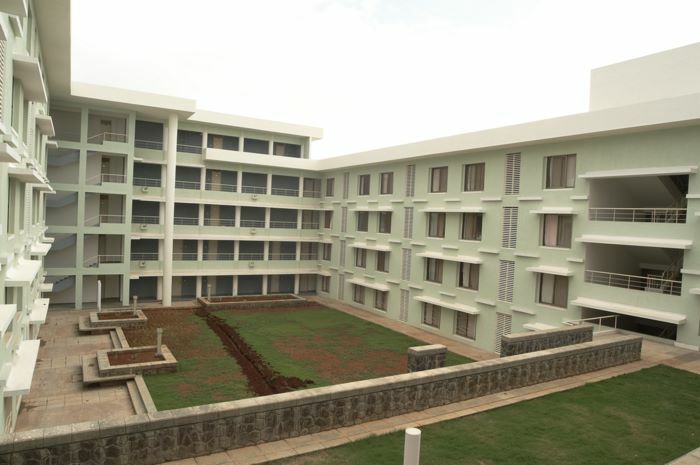 The approach is unique because it blends class-room learning with real on-the-job projects that are mentored by experienced and competent faculty of SIBM Pune. The 5x5 approach means that participants will be present on the SIBM Pune campus for 5 days during each of their 5 visits during the year. Therefore, by sparing just 25 days in a year from their busy schedules they will be able to acquire the prized certification of SIBM Pune. 5x5 approach: the 5x5 approach means that participants need to spend only 25 days on the campus (5 days during each of the 5 visits during the year). This gives them ample scope to focus on their business while continuing to pursue the PGDFB programme. Interactive Sessions: During the visits to the campus, the sessions that will be offered will involve a mix of interactive discussions, case study analysis with a focus on contemporary business practices. Project Based Learning: The project based learning approach will ensure that participants actually get to apply all the concepts learnt in the class in their real on-the-job situation. These projects will be decided in consultation with the faculty and the monitoring of the projects will be done by the faculty. Mentoring: The faculty guides will continuously mentor the participants to ensure that the learning from the projects is well assimilated and truly enriching for participants. Conduct themselves as socially responsible businessmen. To fulfill the abovementioned objectives a suitable structure and the mix of the desired courses have been prepared after intensive deliberation among the faculty of SIBM Pune. The structure given below explains how the course focuses on the most relevant and contemporary topics that will enable participants to play their role as business leaders and take their organizations to new levels of competitiveness. Intake: 25 seats each Programme. Note: Fees is inclusive of examination fees, convocation, medical etc. If there are any backlog papers then extra fees shall be charged per subject. Note: Students cancelling admission after course commencement for non-fulfillment of eligibility criteria - Refund shall be made on prorate basis. To cancel your admission you need to inform the Institute immediately about your cancellation through a written communication / mail or else your withdrawal will not be treated valid from that date. As soon as you have communicated, you need to send us the original challan copy of the fees paid, along with an application signed by you, after receiving the same a cheque or demand draft would be sent to you.